The eye is one of the most remarkable achievements of evolution, and has evolved up to 40 times in different parts of the animal kingdom. In humans, vision is the most important sense, and much of the brain is given over to the processing of visual information. 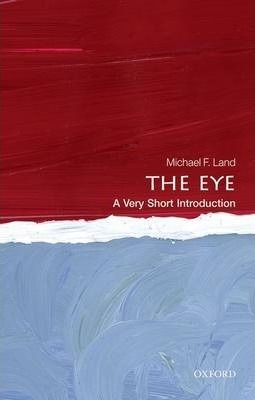 In this Very Short Introduction, Michael Land describes the evolution of vision and the variety of eyes found in both humans and animals. He explores the evolution of colour vision in primates and the workings of the human eye, to consider how that contributes to our visual ability. He explains how we see in three dimensions and the basic principles of visual perception, including our impressive capacity for pattern recognition and the ability of vision to guide action. Michael F. Land is Emeritus Professor of Neurobiology at the University of Sussex and is a world-renowned authority on animal vision. He co-authored the text Animal Eyes (OUP, 2002, 2nd edition 2012) with Dan-Eric Nilsson and another on human eye movements, Looking and Acting, with Ben Tatler (OUP, 2009). He is a Fellow of the Royal Society.